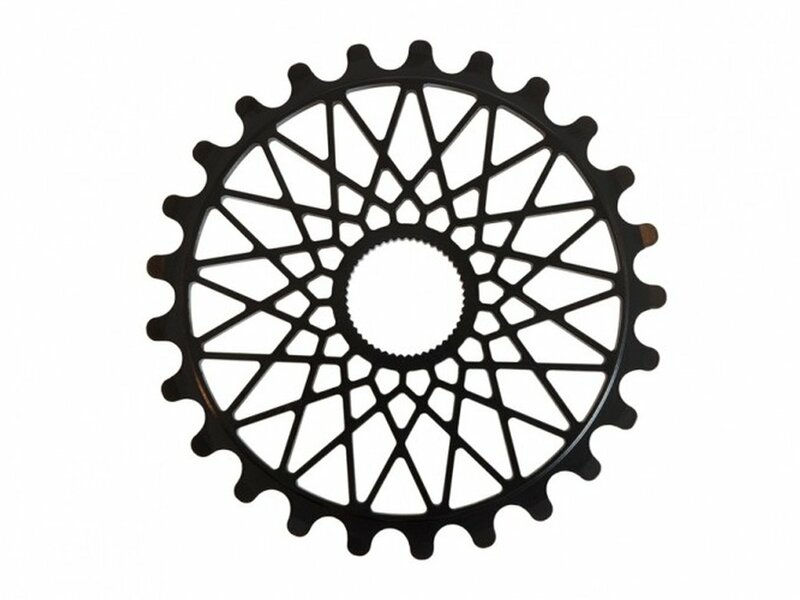 This Federal Bikes "BBS" Spline Drive Sprocket is made of high quality CNC machined and heat treated 4130 CrMo and offers through its filigree design a graceful appearance with high stability and durability. This spline drive sprocket is only compatible to 48 splines crank spindles with 24mm diameter. This high quality Federal Bikes "BBS" Spline Drive Sprocket makes the use of sprocket bolts as well as bolt holes on crank arms unnecessary. This saves weight and offers your drive unit a clean look.